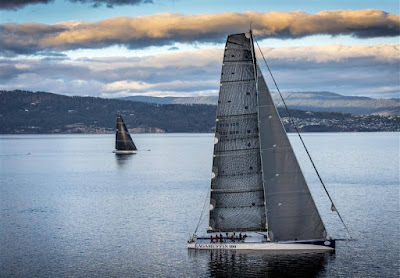 Four of Australia’s best 18ft Skiff sailors recently teamed together on the Ragamuffin 100 maxi which finished 2nd, behind Comanche, in the 2015 Rolex Sydney Hobart Yacht Race. While the battle at the JJs will be no-holds-barred between each of the three teams, the four sailors share a story which will stay with them forever. David Witt was on the wheel at the time and recalls: “We were unexpectedly hit by a 45-knot rain squall on the first night and definitely had the wrong sails up when it hit”. Jack wrote: “As darkness fell, our intel said the front was 7-10 minutes away but not entirely certain. Witty firmly ordered for the A3 to be furled, but it took a couple of minutes for this to happen as there was an issue with the furling line. Witty’s urgency heightened very quickly. A light East-North-East breeze provided the fleet with good conditions for the race which, was won by De’Longhi (Simon Nearn, Grant Rollerson, Kieran Cowan). 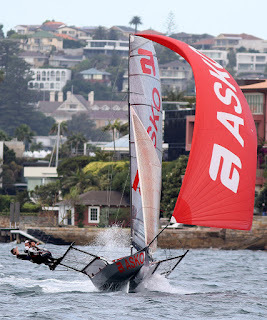 New Zealand’s Yamaha (David McDiarmid, Matthew Steven, Bradley Collins), finished second, 24s behind De’Longhi, with Yandoo (John Winning, Andrew Hay, Jim Beck) a further 38s back in third place. There were at least four different race leaders before De’Longhi took the victory, but three teams withdrew from the race while in the lead. 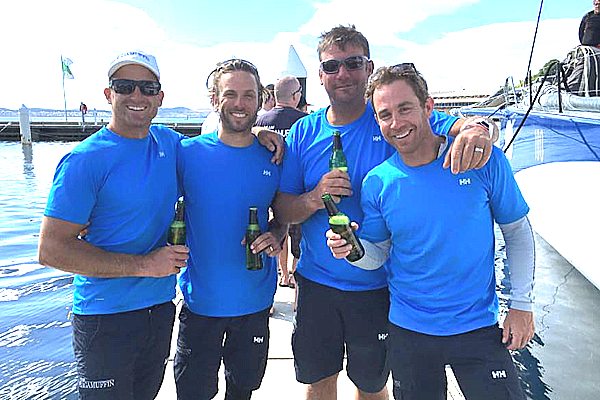 Seems there may have been superstition on their minds regarding victory in the Invitation Race.